Basil can be a great herb to include in your cooking. 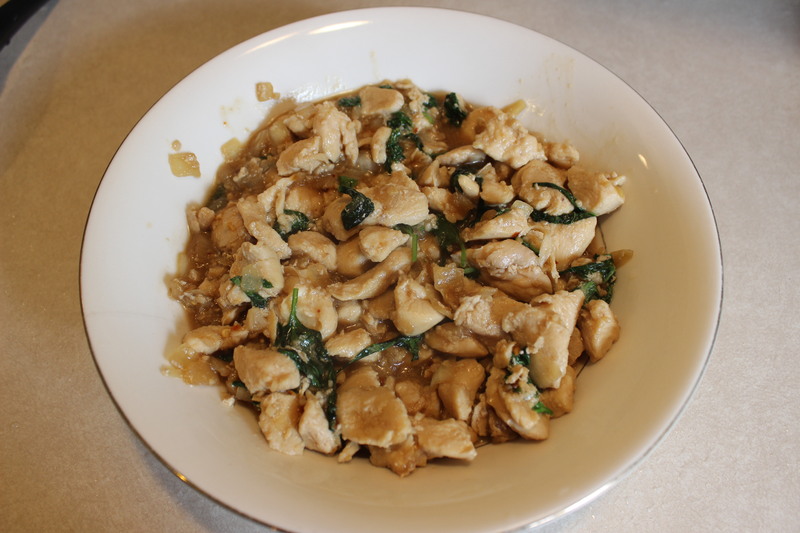 My wife makes Thai Chicken with Basil that is very delicious. 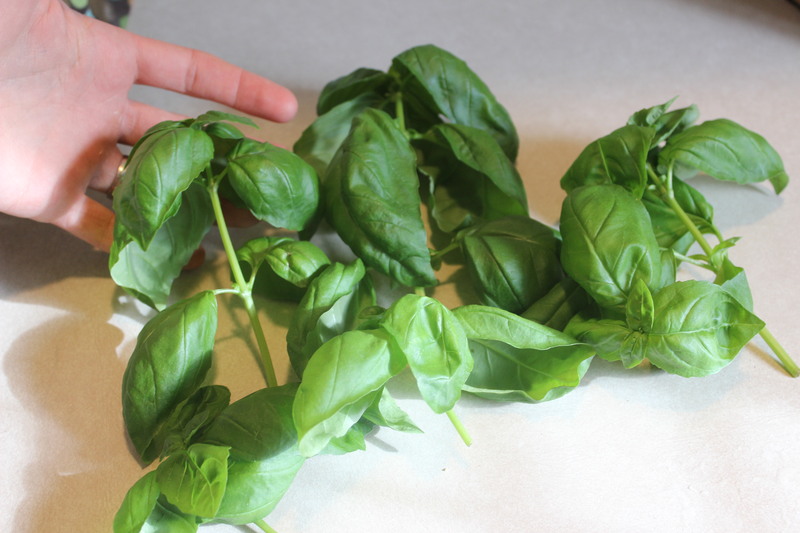 One issue with basil is that it can be fairly expensive, especially in a basil-intensive meal. The Thai Chicken meal that my wife makes takes $2-$3 worth of basil each time she makes it. 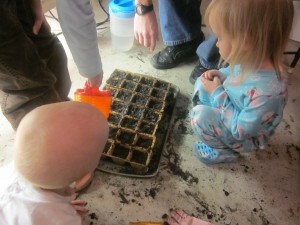 However, basil seeds are really cheap and growing basil can be pretty easy. 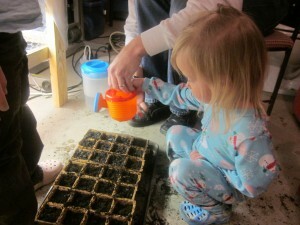 I’ve had great success growing basil under a grow light and then transferring it to the garden. 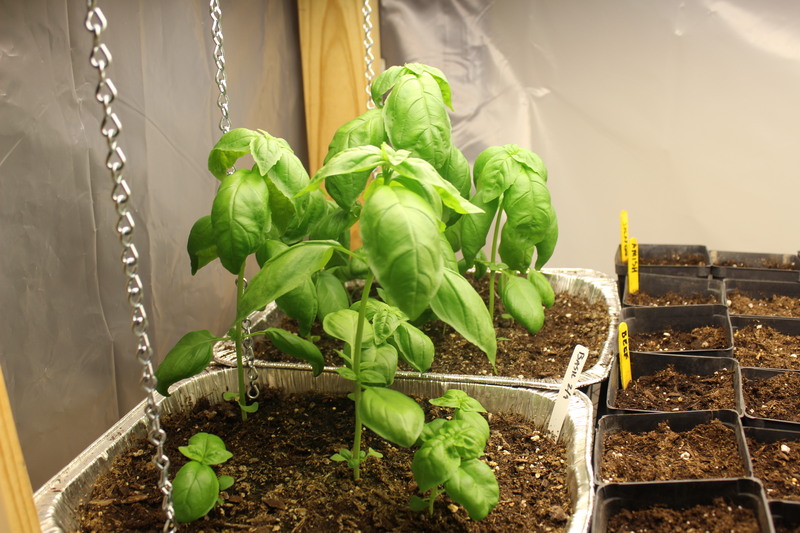 Basil is sensitive to frost, so if you want to get an early start you’ll need to use a grow light. 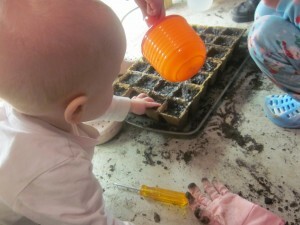 You can plant the seeds directly in your garden soil if you prefer, but not until after the last frost. I plant basil under the grow light in early February, at the same time I plant onions. I plant 6-8 seeds in a ~3″ deep baking tin, so the seeds have 3″ – 5″ between them. You can probably get away with planting them even closer. 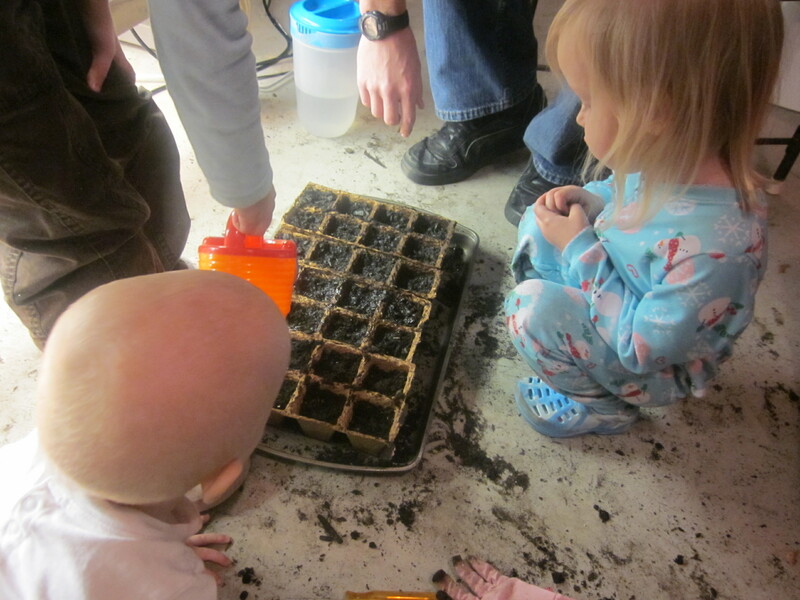 Plant them in good potting soil if possible as they will be in there for a while. 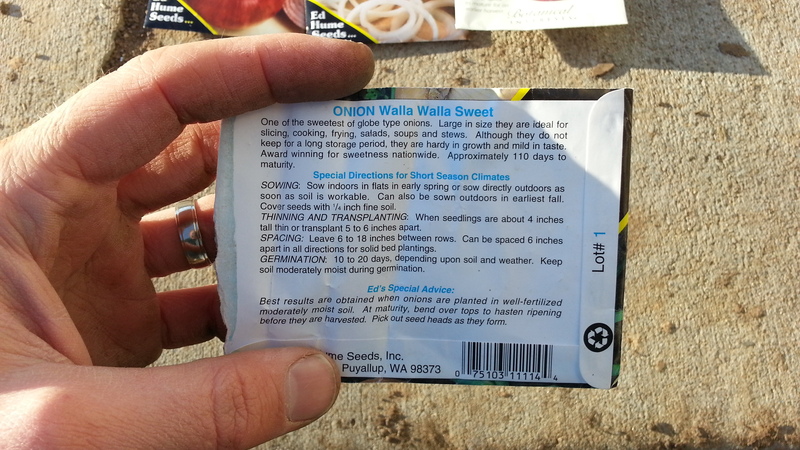 Keep the soil fairly moist and they should germinate in about a week. I continue to water every 2-3 days. If you start getting moss-type growth on the soil, then water less. It takes about two months for the basil to be ready for it’s first harvesting. If you only need a few leaves you can harvest prior to two months. 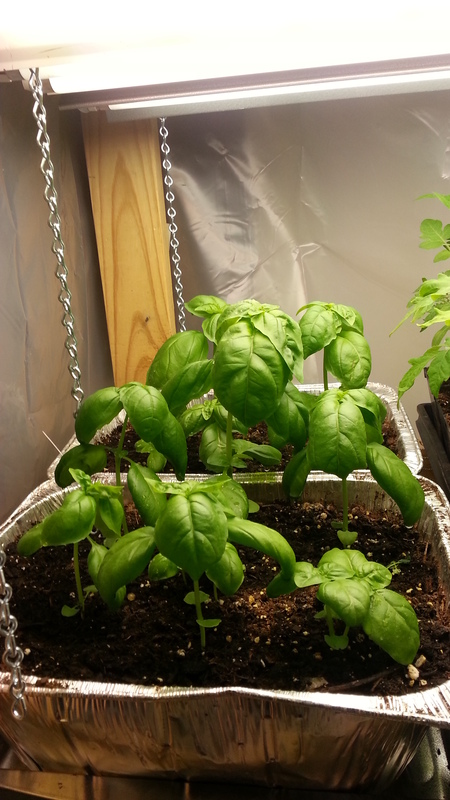 About 45 days after planting, the basil plants start to grow very rapidly and can double in size in two or three weeks. The picture above shows my basil after about 55 days. You can harvest basil without killing the plant. Just cut the main stem about an inch below the lowest set of good leaves. The basil will keep growing and you’ll get several good leaves that you can cook with. 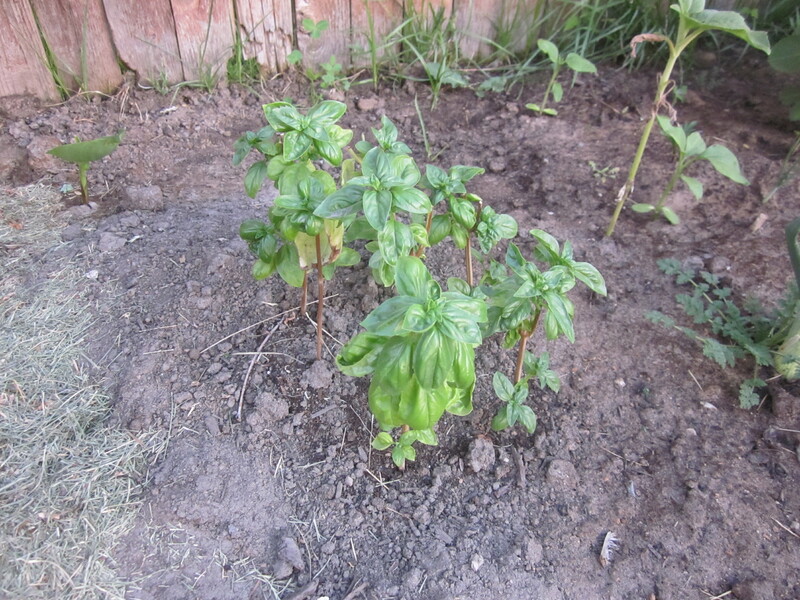 Once all danger of frost has passed (about mid-May where I live), you can transfer the basil to your garden. Let the tin you planted in dry out a little bit (not completely). Then just dig a little indentation in your garden that will fit the tin. 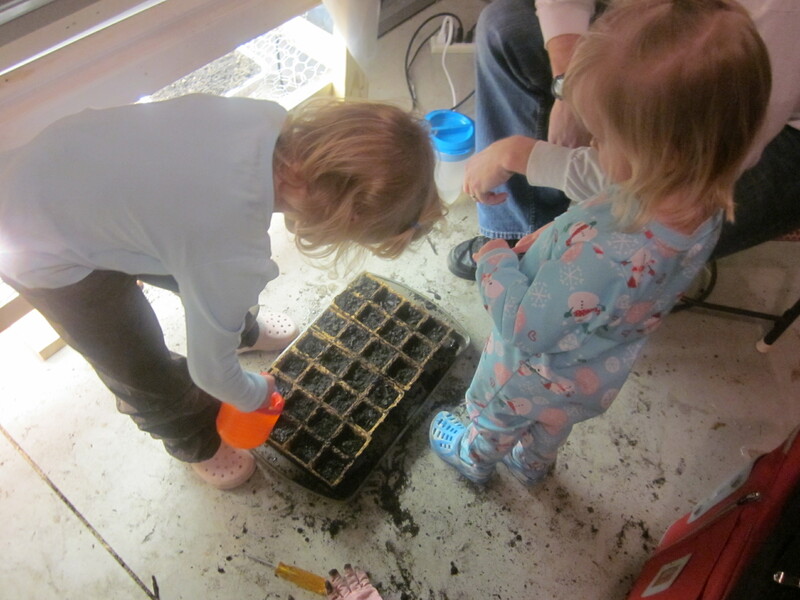 Try to take the whole chunk of dirt and basil plants out of the tin in one group and stick it in your little hole. Now just water it with the rest of your garden, and pretty soon you’ll have more basil than your family can possible use. Basically those 6-8 little plants will grow into a basil bush. When the basil tries to make seeds, just clip off the buds so that the plant keeps growing. As long as you do this, your basil should last until the fall frost. Basil can be used to make tomato sauce, so if you’ve grown some tomatoes you might use your basil when you’re canning. You can even dry basil leaves if you’d like. By the end of the summer, our family is usually sick of basil so we just let the plants die and then start the process again the following year. 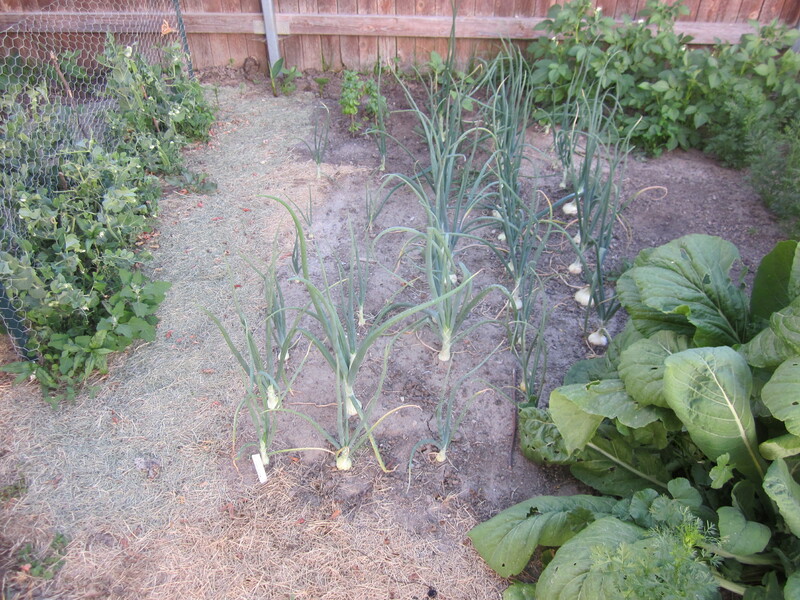 Gardening in cold climates may require that you get a jump-start on the season. Cold weather and long winters may also leave gardening fanatics with an itch to plant something. 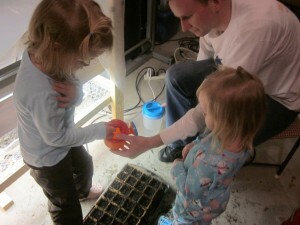 Both of these issues can be resolved (at least partially) by building a grow light. While many grow lights are designed and built for indoor use where the climate is controlled, I was able to build a grow light that works well in my garage even during the winter. How much do you want to grow? How much space to you have? The first two of these can be mitigated using the grow light design that I used (modular). Spending can also be mitigated depending on how patient you are and what types of scraps you happen to have laying around. 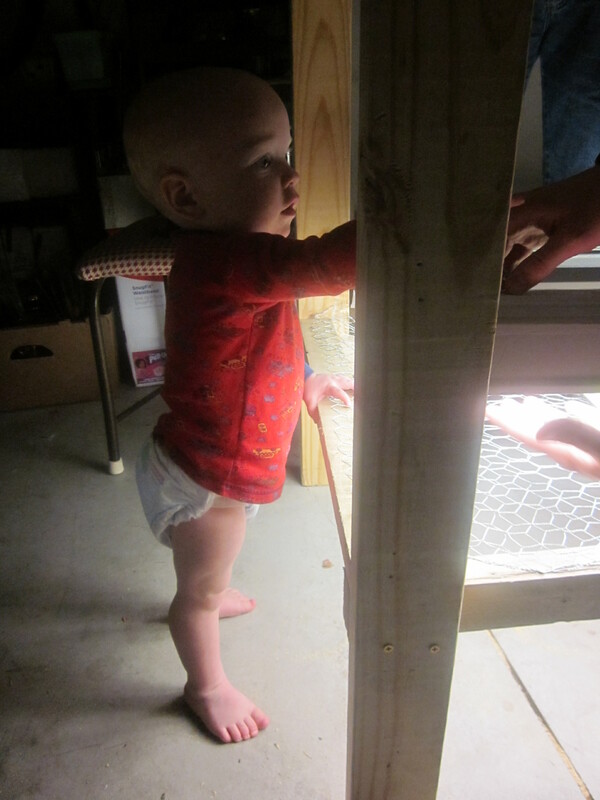 I designed my grow light to be approximately 2′ x 4′ x 3′, or two feet wide, four feet long, and three feet tall (with only about half of the height available for the plants). However, the design is also modular, so after my first module was successful, I added a second level which was 2′ x 4′ x 3′, with most of the height available for the plants. I’ve found that this size is pretty reasonable. 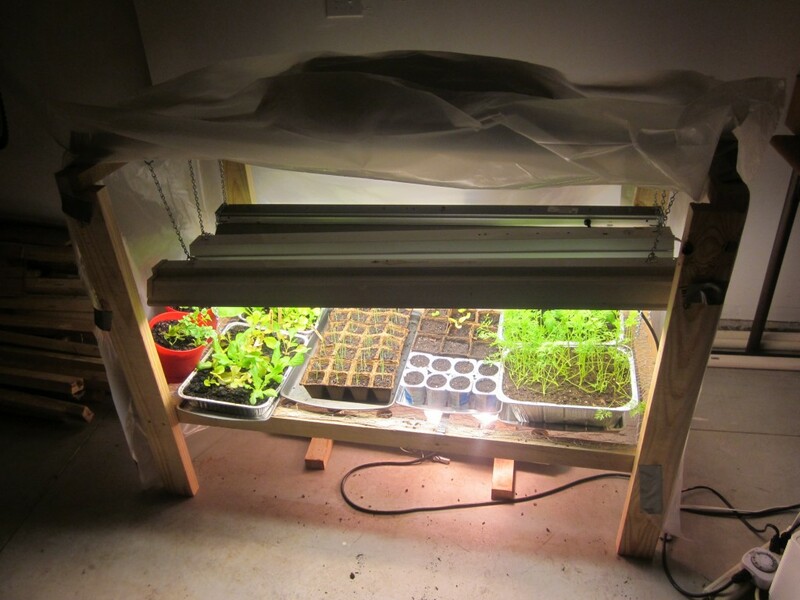 It allows about 8 square feet for plants and the height is enough to grow basil, lettuce, onions, tomatoes, and many other crops so that they’re tall enough to transplant into the garden. The grow light design is fairly straightforward. 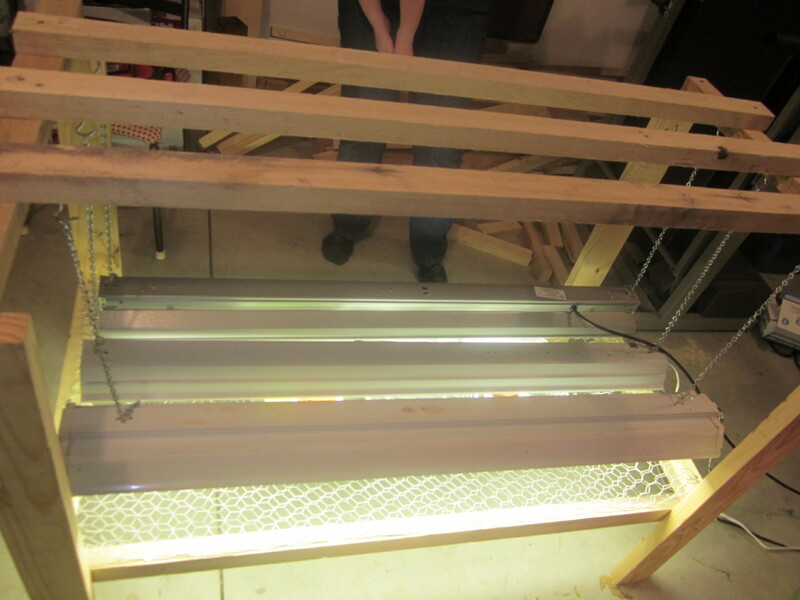 The 2×4’s will basically form the structure of the grow light. This has been described a bit above. Basically just use the 36″ pieces like legs of a table. Then you will have 2×4’s connecting these legs on the top side, and another set of 2×4’s connected them about a foot off the ground. On the 2×4’s that sit on top of the contraption, connect the fluorescent light fixtures. 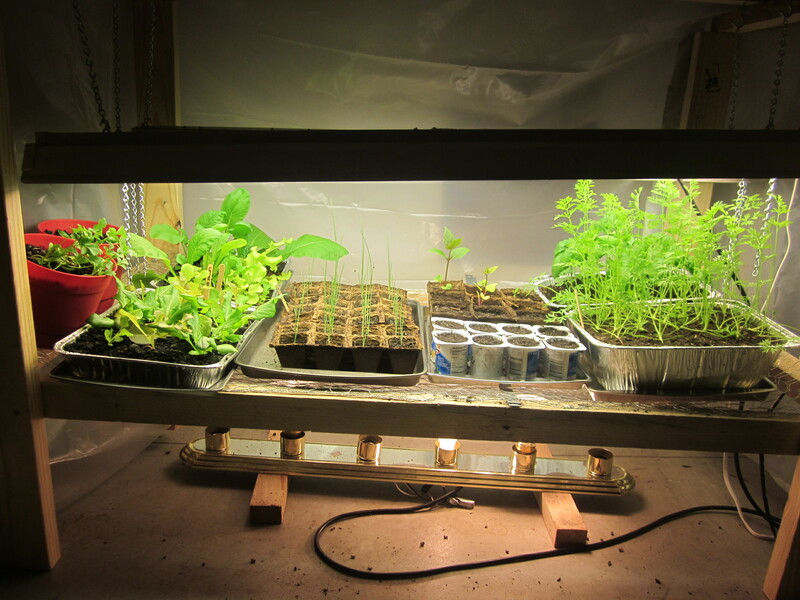 Use adjustable chains so that you can keep the light close when the plants are sprouting, and then move the light higher as the plants grow. You want the lights to be about one inch above the plants, but be careful because the plants will quickly burn and dry out if they touch the lights. The chicken wire is used to form a level platform to place the plants on. It is stretched and nailed to the 2×4’s that are about a foot off the ground. 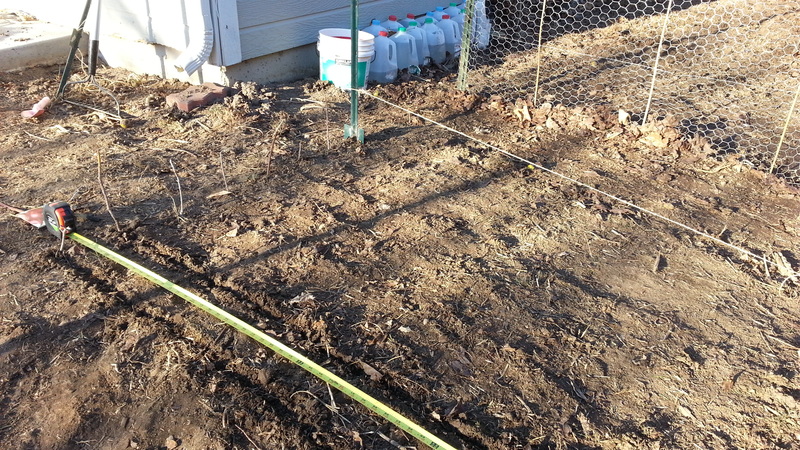 However, since the chicken wire flexes, you first need to place some stronger strips of metal across the 2×4’s every foot or so, then put the chicken wire on top. This way, when you have a tray full of heavy, water-logged dirt, it won’t cave down the chicken wire. You can kind of see the chicken wire in the photo below — it’s doubled over (two layers). If you look at the photo at the very top of the post, you can see one of the strips of metal just under the tray of yogurt containers. Under the chicken wire (on the ground), you will place the 5+ light fixture and put a couple of halogen or incandescent light bulbs in it (just regular bulbs, you don’t need reptile bulbs or anything). These provide heat for the plants resting on the chicken wire. This method is way cheaper and easier than warming-mats. It also uses less power (I think). However, I’m not sure about the fire hazard. I place it on my cold cement floor in my garage, so I’m not too worried about the fire hazard. When I was thinking about how to warm my plants, a guy at Home Depot didn’t think this method would work. But it does! Especially if you place your plants on metal trays or cookie sheets. They warm up quite nicely. In fact, I recommend placing a simple $10 timer on the plug that connects to the light fixture so that the plants don’t burn — just cycle the fixture on and off every hour or so. You’ll get a good idea of how warm it is when you check the plants every day or two. Look at the photo on top of this post and you can see the light fixture under the plants. 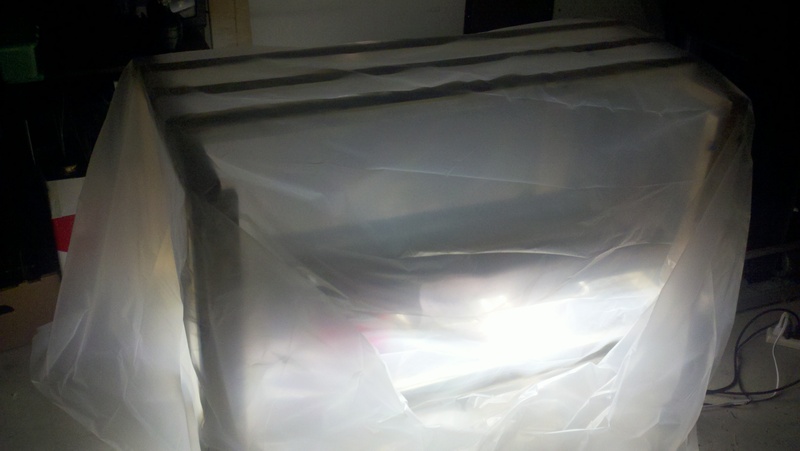 The photo below shows the plastic covering. The cover keeps the heat inside — most of the heat provided for the grow light comes from the halogen/incandescent light bulbs below, but some also comes from the fluorescent bulbs. Just fold it back to access the plants. I’ll let the pictures provide some other detail. Basically, the dimensions aren’t super important, it’s a very easy design. One nice thing about this design, is that you can easily expand it vertically by building something similar right on top of it, as I have done. I also added some wheels so that I could move it without having to drag it around. I water the plants in my grow light every two days or so. Basically just moisten the dirt whenever it starts to get dry. 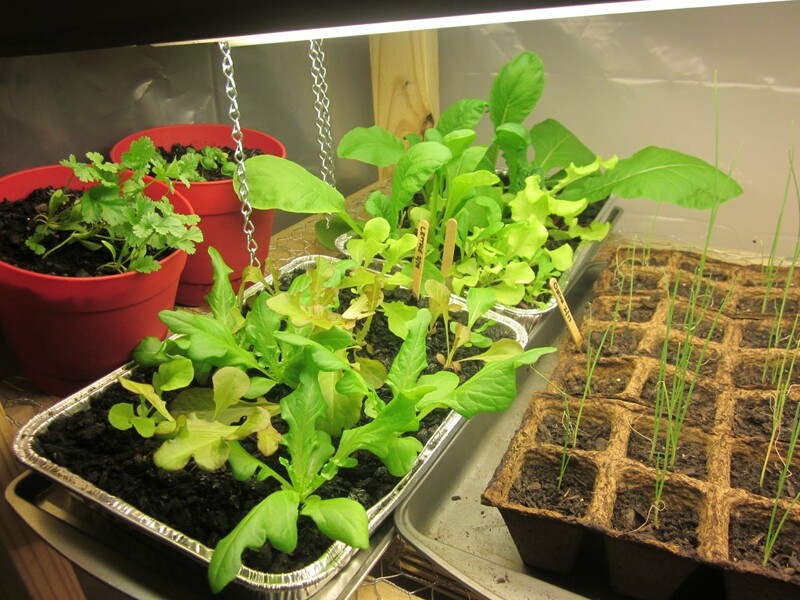 As you can see from the photos, I’ve tried many different containers. My favorite containers for single plants are yogurt containers. They keep the moisture in really well, the plants and dirt slip right out of them, and they are free if you eat yogurt anyways. Just cut a few holes on the bottom edge to let them drain a bit (make it look like one of the black pots you get at the nursery). I don’t like the peat pots — although you can see that I’ve tried them. They dry out too quickly and are harder to plant unless you’re willing to plant the whole thing (I just don’t trust that the roots can get through them…). For onions you can just plant in a big, ~2-3″ deep baking sheet. 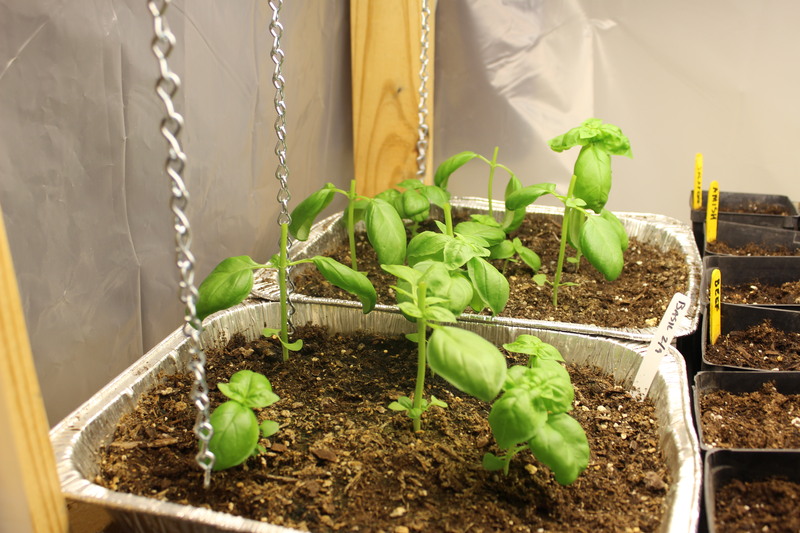 If you want to plant basil, plant about 6 seeds in a ~4″ deep aluminum sheet. 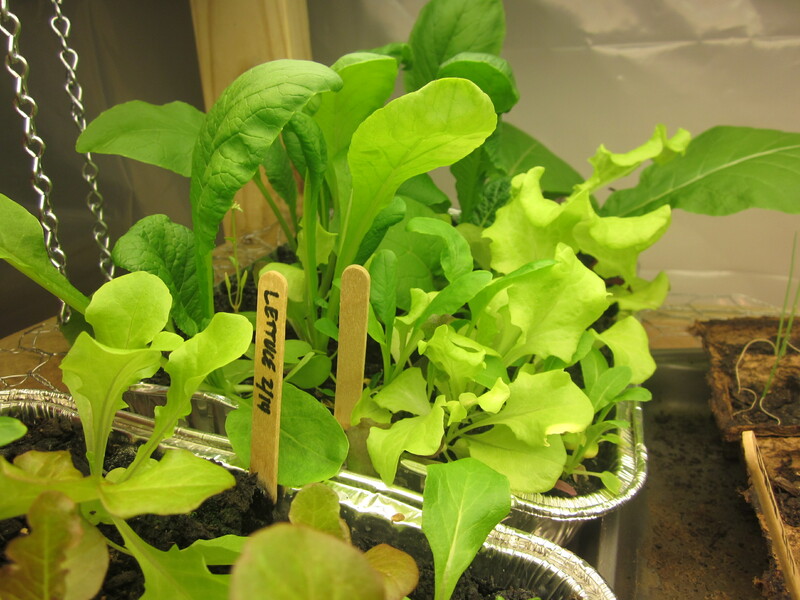 You can harvest the leaves under the grow light a few times. When the frost has past, you can just plant the whole tray of dirt into your garden (try to keep it all in one chunk when you take the tray off). Then they’ll grow into a big bush. 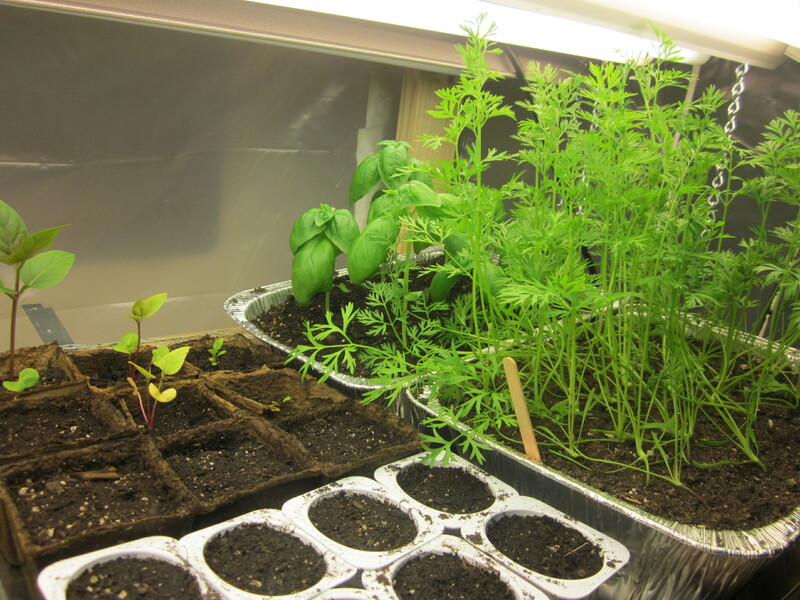 Flowers in back-left, basil in back-right, carrots in front-right (these didn’t really do great — maybe I could have transplanted them, but I’m not sure), and some tomatoes that haven’t sprouted yet. 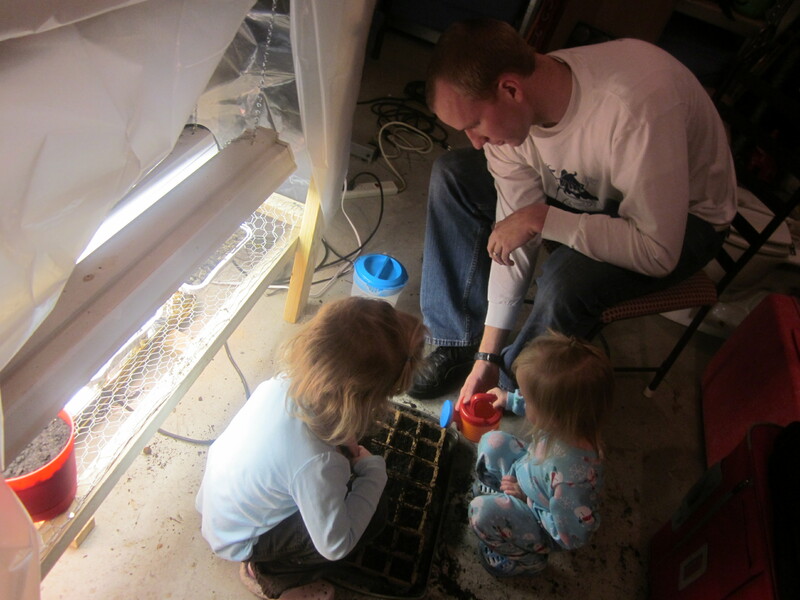 I switch off the fluorescent bulbs in my grow light every night when I go to bed and let the warmer lights cycle about every hour depending on the temperature in the garage. Contrary to what some may say, I don’t think plants actually need a “night-time” to grow properly. You can probably just leave the lights on all day and night. Photosynthesis has a “Light Reaction” and what is sometimes called a “Dark Reaction.” However, the “Dark Reaction” is more properly a “Light-independent Reaction” — it can happen in the light or the dark. 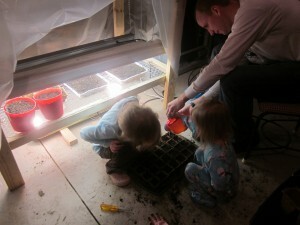 Nevertheless, I figure the plants don’t need more that 16 hours per day and I don’t want to kill my electricity bill. To calculate the cost of running your grow light, just add up the watts of all your bulbs. For example, I think I use six 30W fluorescent bulbs, and two 60W halogens. So the total is 6*30 + 2*60 = 360. Divide this by 1000 to get the kilowatts/hr –> so 360/1000 = 0.36. Now look on your utility bill to see how much you pay for electricity. I pay about $0.09/kilowatt hour (electricity is cheap in Idaho). Therefore, my hourly cost is $0.09 * 0.36 = $0.0324. Assuming I run it 16 hours a day, that’s 16*0.0324 = $0.51/day, which is $15.55/month. Not too bad. 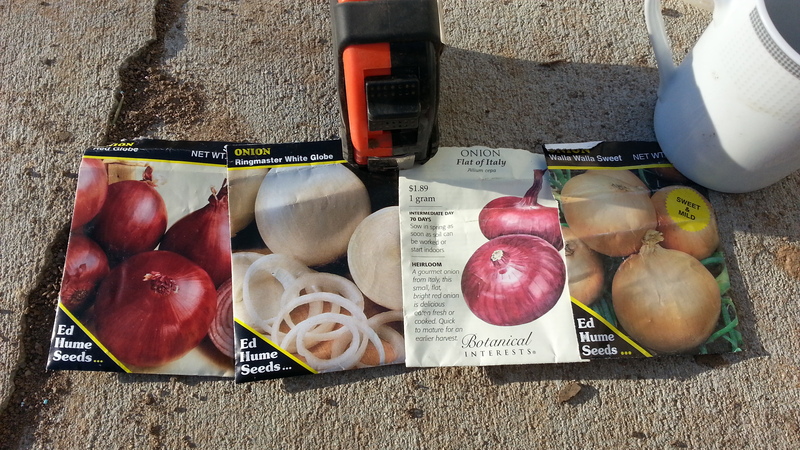 You can grow enough tomatoes, peppers, and onions to justify the expense of running it. Also, if you extend it vertically, it gets a little cheaper per square foot.